Refineries are already starting to deplete their stocks of heavy fuel oil ahead of January 1, 2020 when the new global 0.50% sulfur cap on marine fuel comes into force. 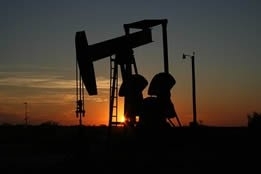 A report by Bloomberg indicates stockpiles in the US and Singapore this year have fallen, and some refineries have started to reduce their output, according to industry sources. In Singapore, the world’s biggest bunkering port by volume, data from International Enterprise Singapore indicates bunker fuel inventories at a nine-year low of 14.8 million barrels. “It’s literally the perfect storm,” Bloomberg quoted Energy Aspects’ Nevyn Nah as saying. the vast majority of vessels are on course to comply with the new rules by switching to 0.50% sulfur distillates or VLSFO blends. Despite the recent uptick in demand for scrubbers, which will allow vessels to continue to burn HFO once the new rules come into force, the vast majority of vessels - accounting for some 250 million tonnes of demand - are on course to comply with the new rules by switching to 0.50% sulfur distillates or VLSFO blends. Gauging how the HFO demand picture will play out over the next 17 months will likely be one of the key challenge for suppliers, not least because it is not clear exactly when vessels will begin to lift their IMO 2020 compliant fuel. If stockpiles deplete too quickly then prices will spike, and conversely, should ports and / or suppliers find themselves with excess stock it will likely result in much lower prices for fear of being stuck with a product in 2020 that few will want. All of this will mean the potential for a lot of volatility in the run up to the IMO 2020 deadline. Svend Stenberg Mølholt, Group COO, Monjasa, recently told Ship & Bunker he expected the market shift to begin in the second half of 2019, with Hapag-Lloyd last week making a similar suggestion.